Welcome to our St. Petersburg, FL non emergency medical transport page. Our company, Amera Solutions, is the most trusted private ambulance service in Pinellas County, and we greatly value the many relationships that we have developed in this area. The work that we do is very rewarding, and we do everything possible to exceed the expectations of each and every client that we serve. St. Petersburg is a historic city that was founded all the way back in 1888. There are many fantastic things about life in town, and the weather is at or near the top of the list. There are 365 days in a year, and on average, 361 of them are sunny in St. Pete. The beautiful beaches can be enjoyed all year around to one extent or another, and the countless world-class golf courses in the area are always busy. Because of all the positive aspects of life in this very special city, it has always been a haven for retirees. When you start to get older, medical issues will invariably enter the picture from time to time, and we can be called upon to spring into action if you ever need a non emergency ambulance in St. Petersburg, Florida. Our drivers and attendants are among the best in the business, because we are very discerning during the hiring process. They chose the profession that they are in because they sincerely care about others, and they go the extra mile to provide safe, timely, and courteous service. We have the ability to dispatch different types of vehicles, so if you need basic medical transportation in a sedan, we have you covered. 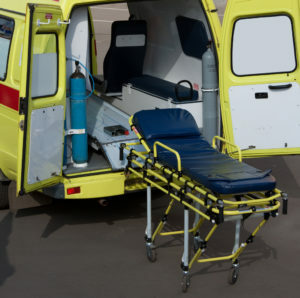 At the same time, we also provide non emergency medical transport for people that require medical transportation in wheelchair accessible vehicles. Why take chances with an unproven commodity when you can engage the ambulance service that has been setting the standard since 2004? Wherever you may be in town, from Tierra Verde to Shore Acres to the Eckerd College area and everywhere in between, we can provide the service that you need at a price you can afford. If you would like to send us a message, simply fill out the contact form on this website. And of course, you can speak with one of our St. Petersburg, FL non emergency medical transport specialists right now if you call us at 855-263-7215.